PETALING JAYA: Over 90% of table salt used in kitchens globally are found to contain microplastics, a new Greenpeace study found. It also found that salt sold in Asia contained the highest levels of plastic contamination. The study also estimates that an average adult consuming 10 grams of salt per day would be eating approximately 2,000 microplastics each year. Published in Environmental Science & Technology, the research analysed 39 salt brands from 21 countries across the globe, including countries close to Malaysia – Indonesia, Philippines, Thailand and Vietnam. It found that microplastic content varies dramatically among different brand of salts and is especially high in those consumed in Asia. The Indonesian sea salt sample is found to have the highest quantities of microplastics. Indonesia is considered to be the second worst plastic emitter into the world’s oceans. 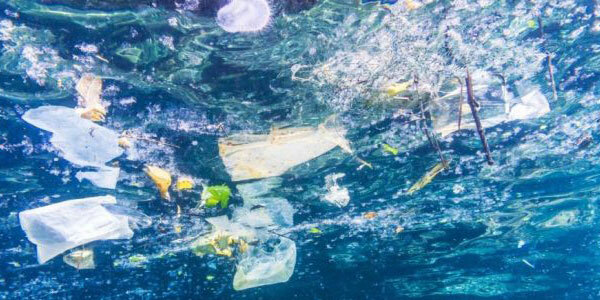 The study highlights Asia as a hotspot for global plastic pollution, meaning that the ecosystem and human health in Asian marginal seas could potentially be at greater risk because of severe maritime microplastics pollution. “Recent studies have found plastics in seafood, wildlife, tap water, and now in salt. It is clear that there is no escape from this plastics crisis, especially as it continues to leak into our waterways and oceans,” said Greenpeace East Asia Campaigner Mikyoung Kim. Researcher Professor Kim Seung-Kyu said the findings suggest that human ingestion of microplastics via marine products is strongly related to plastic emissions in a given region. “In order to limit our exposure to microplastics, preventative measures are required, such as controlling the environmental discharge of mismanaged plastics and more importantly, reducing plastic waste,” he said. The study was co-designed by Kim, who is a Professor at Incheon National University and Greenpeace East Asia. The study found that only three brands of investigated salts – Taiwan (refined sea salt), China mainland (refined rock salt), France (unrefined sea salt produced by solar evaporation) – did not contain any microplastic particles in both replicate samples. All other salt samples contained microplastic particles. It found that plastic contamination in sea salt was highest, followed by lake salt, then rock salt – an indicator of the levels of plastic pollution in the areas where the salt was sourced.